But in using the word ‘tabled’, Smith was adopting Parliamentary language and nodding to Parliamentary customs that have been ignored by his Government. The Defence White Paper is a public document (here ), but it was never tabled in Parliament. So it’s a public document but only in the sense that it was released and published by the executive. It isn’t a paper of the Parliament because it was never presented or tabled in Parliament by the Defence Minister. The Rudd and Gillard Governments developed a worrying habit of not bothering to give policy documents to Parliament in a range of areas, not just defence and national security. I’ve previously written two columns (here  and here ) on the Gillard Government’s failure to table the National Security Strategy, arguing that this disrespect for Parliament is a symptom of the Presidential Pretensions and the Minder Mentality that pervades the executive wing of the Parliamentary building. 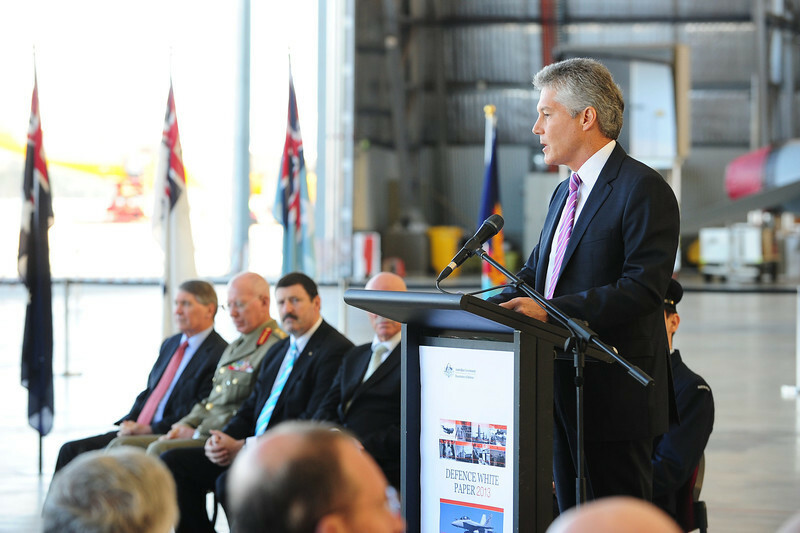 So when releasing a Defence White Paper, the proper setting is for the PM to give a speech in a hangar in front of military kit and lots of people in uniform (at a cost to the taxpayer of $284,000 ). The point is to produce good pictures, not measure the policy content nor count the cost. The House of Reps can’t compete when the aim is to dominate and control every moment of the political cycle and to win the argument without having to argue. No wonder Minders and Presidents find Parliament so taxing. When the White Paper came out, I wrote on the tacit consensus between Labor and the Coalition  on many areas of Defence. The two sides argue about wars but have large areas of quiet agreement on Australia’s strategic setting and military kit. Whether we’re in the Asian Century or the Indo Pacific Age, the Canberra consensus on Defence policy is in for some testing times. One of the many things that Parliament helps develop and deliver through its debates and processes is the shape of a declared rather than tacit consensus. To augment this process, the Parliament’s Joint Standing Committee on Foreign Affairs, Defence and Trade  should hold an inquiry and a series of public consultations every five years to assess the White Paper and Strategy. A political pledge that makes for good process and improves policy without costing a dollar—what President or Minder could object? Graeme Dobell is the ASPI journalist fellow. Image courtesy of the Minister for Defence .